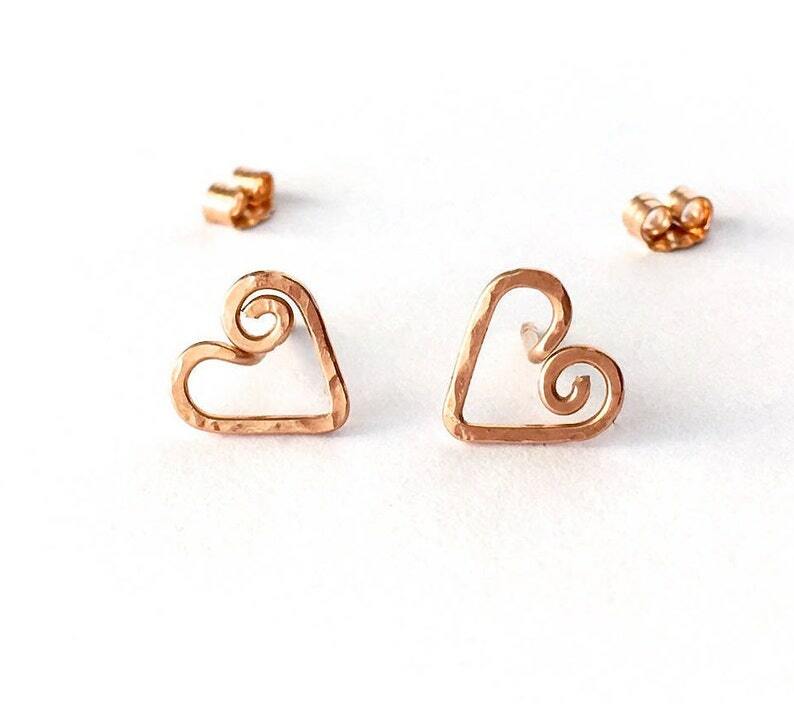 Your new rose gold heart spiral studs are ready to ship. 14k Rose gold filled wire was bent and formed into heart spiral swirls. They measure about 10mm wide or 1/3 inch wide. Each pair is slightly different since each are handmade. Your earrings will be gift wrapped. 14k Solid Rose Gold Initial Studs. Rose Gold Earrings. Lowercase letter earrings. 14k Rose Gold alphabet posts. Letter stud post earrings.